European countries have many wheat free gluten free foods to their credit, and some of the best are European desserts. Wheat wasn’t always such a big part of the diet, and many earlier favorites have survived. Even when wheat, rye, barley and oats were available, sometimes they were taxed, or too expensive. So what did people do? They invented ways to make new favorites. Nuts and chestnuts took the place of grains in cookies and cakes. Starches from corn and root vegetables thicken sauces and desserts. Mashed potatoes, of all things, make creamy fillings for cakes. Read contributions of other visitors here. If you don’t see one of your favorites listed below, or have a comment about any of these foods, please add it here. It’s not always clear where foods originated since recipes tend to migrate from country to country. Nut based cakes, for example, became popular in rival cities Vienna and Prague, once both in Austria-Hungary, but now in separate countries. You can find variations of nut based cakes, cookies and confections all across Europe, some dating from the middle ages. FRANCE has a variety of wheat free gluten free items to it’s credit. DESSERTS: In its many corner bakeries you’ll find macaroons of many varieties, meringues, and coconut Congolais. Also fancy layer cakes such as the Dacquoise which has a mocha butter cream filling, and le Délice: a flourless chocolate macaroon cake with ganache. Around The World by Poster! Other desserts include chocolate mousse and chocolate soufflés. STREET FOOD: Along the Cote D’Azur look for socca, a flatbread made from chickpeas and seasoned with pepper and olive oil. BREAKFAST: Brittany, France is the home of Galettes De Bretagne. These wonderful crêpes are made from buckwheat flour, and make a great breakfast. They may also be served as a meal with savory fillings such as shrimp. SIDE DISHES: include many potato dishes, such as the pommes de terre duchesse, which are mashed and then piped into fancy shapes. And of course frites: the real French fries. They are thinner and often more crisp than those found in the United States. ITALY also has quite a variety of wheat free gluten free traditional foods. SIDE DISHES: Polenta is found mostly in Northern Italy, while you’ll find risotto in the South. 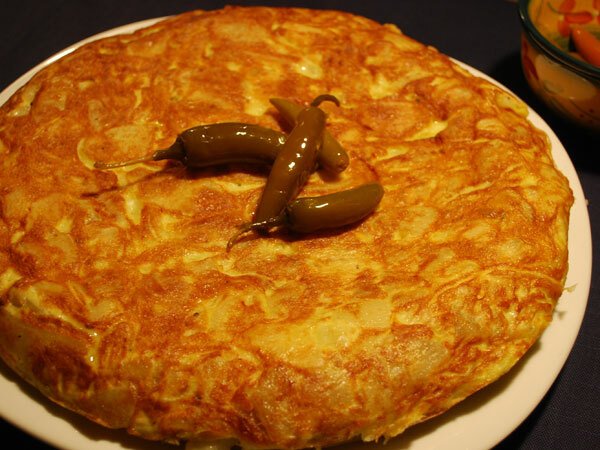 MAIN DISH, SNACK OR APPETIZER: Frittata con le patatine is the French name for the tortilla Española, (see Spain) and makes a great breakfast. Farinata are chickpea flour pancakes found in Liguria. DESSERTS: Many chestnut desserts originated in Italy as a result of the high tax on wheat. Chestnuts were plentiful and early Italians found they worked very well for cakes and other puréed desserts. The Bolognese Rice Cake, polenta sand cake, and spicy panforte are other specialties, along with custards, gelato, and fruit soufflés. 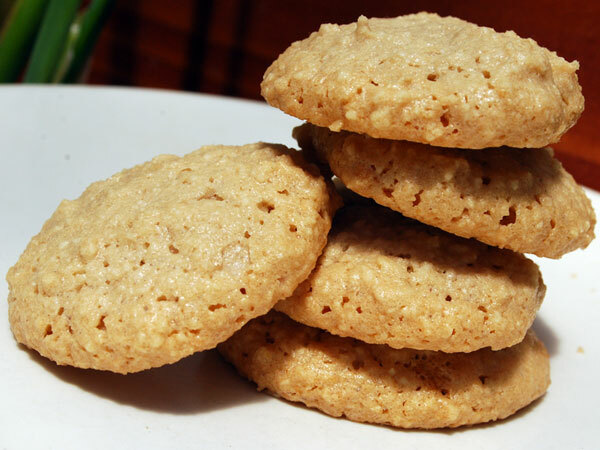 Amaretti cookies are the Italian version of the macaroon: they are sweeter and crisper. Brutti Ma Buoni, pictured, have similar ingredients but way less sugar, and they are drop cookies so very easy to make. DESSERTS: almonds and citrus are plentiful in these countries, and team up in wheat free gluten free cakes such as flourless lemon almond cake. A Spanish hazelnut chocolate cake may have port wine as an ingredient, and figs stuffed with almonds and chocolate are a popular snack. MAIN DISH/ SNACK/ OR APPETIZER: The Tortilla Española, an egg and potato dish made on top of the stove, is said to have originated in Spain. But you can find versions of it throughout Latin America, called “tortilla de papas,” as well as the frittata con le patatine from Italy mentioned above. It can be vegetarian and very simple, or can include seafood or other ingredients. It’s easy to make and really good! In many central and eastern European countries stuffed cabbage rolls are a specialty: cabbage leaves stuffed with rice, meat and spices. I've included the different names below. Austria is the home of many wheat free gluten free almond and walnut cakes also known as tortes. These range from very simple sponge cakes to elaborate versions with many layers, fillings and toppings. The sachertorte is one of the most famous. Austrian stuffed cabbage rolls are called Kohlroulade. Germany is famous for the sandtorte, a cake made with potato flour. Some versions also contain corn flour. Almond paste and marzipan are used as ingredients and toppings for cakes and cookies, such as almond crescent cookies. German stuffed cabbage rolls are called Krautwickel. Hungary is known for its dessert rolls, and not all of them contain wheat! A wheat free gluten free chocolate roll is made simply with nuts, eggs, sugar, and chocolate, with a filling rolled between the layers. In Hungary stuffed cabbage rolls are known as Toltott Kaposzta. Romania serves up a polenta-like dish called mămăligă. Although it is now made from corn(maize), it was made with millet before corn was available. Other traditional wheat free gluten free foods from Romania include many potato dishes, Salata de Beouf, and Sarmale: the Romanian version of stuffed cabbage rolls. Sometimes Sarmale are stuffed with mămăligă instead of rice. Zimsterne are a Swiss traditional Christmas cookie made from eggwhite, almonds, cinnamon, sugar, and kirsch. They are very light and one of the best cookies I’ve ever eaten. The best carrot cake recipe I’ve found is Aargauer Rüeblitorte. It’s completely flourless, and delicious. Swiss broyage is a type of meringue made with less sugar than other meringues, and also has almonds. It is often used as a layer in a nut torte, or as a base for fresh fruit. Lemon curd is a well-loved dessert, but you will also find rice pudding and nut flour biscuits (cookies). Typical wheat free gluten free desserts are almond marzipan ring cakes, rice pudding, and appelkaka, or apple cake, if made with nuts (watch out, these are often made with breadcrumbs); fruit pudding thickened with arrowroot; or rice pudding with almonds. Northern European countries also love their cabbage rolls. They are known as Kaldolmar in Sweden, and Kaalikaaryle in Finland.